Word searches have been around for ages. If you’re one of those people who likes doing them or playing games on your phone to pass the time, you might as well get paid for it. The Perk Company created an app that does exactly this called Perk Word Search. Yet is the amount of time spent doing puzzles worth it? Aside from the $7 dollars you get just for signing-up, let’s find out how much you can make. What Is Perk Word Search? Perk Word Search is a free mobile app that is available for both iOS and Android devices. By completing word search puzzles, Perk will award you with points. These points can then be redeemed for prizes such as gift cards or direct deposits to PayPal. The reason Perk is willing to pay its users so generously for simply playing games is that Perk earns money through ads. Ads are displayed at the bottom of each word search puzzle and every time you complete a puzzle. Perk gives a portion of this money to its users. Word searches come in 3 different levels: easy, normal or hard. The amount of time you are given for each puzzle depends on how many words you choose to find. If you try to find one word for example, you only have 10 seconds before the puzzle ends. If you complete the puzzle in time, you are awarded points. If not, you have to keep trying until you complete one and earn points. The most you can win on one puzzle is the one with 5 words in 35 seconds, earning you 4 points. A Facebook account is required to log-in. 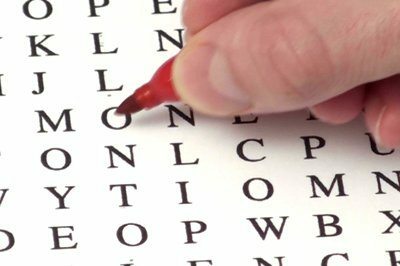 How Do I Sign-Up For Perk Word Search And Start Earning Money? Signing-up for Perk Word Search is very simple and can be done in 5 steps. 1. Download the app. As I mentioned before, you can download the app for either iOS or Android devices. Once the app is installed, go ahead and click “Continue with Facebook” in order to log-in. 2. Choose your difficulty. Choose easy, normal or hard and then choose how many words you want to look for. 3. Select your words. When the word search screen comes on, find the words shown beneath the puzzle. To select a word, simply use your finger and drag it across the screen where the word is found and it will be automatically highlighted. 4. Complete the puzzle in time. Complete the puzzle in the allotted time in order to win points. 5. Cash out. When you get enough points you can cash out. If you have an iOS device, you must install Perk Wallet in order to cash out. For Android users, they can directly cash out from the Perk Word Search App. How Much Can I Make With Perk Word Search? This question depends on how much you like playing word searches and how often. When selecting a puzzle, choosing easy, normal or hard does not give you an increase in points. If you want to obtain more points more quickly, the best thing to do is to find the most amount of words in the shortest amount of time. The best way to do this is by selecting the option that lets you find 5 words in 35 seconds. This will give the most value for your points. All other puzzles (1 word in 10 seconds, 2 in 15, etc.) may give you a higher point value, but remember that each time you finish a puzzle, you have to close an ad before you can continue to the next puzzle. This takes up a lot of time. By continuously doing “5 words in 35 seconds” puzzles, we estimate that by the time you start and finish a puzzle (clicking through screens, restarting a puzzle, etc.) you can earn about 4 points per minute. It takes 1,000 points to redeem for an amount equal to $1 dollar. This means it would take a little over 4 hours of word searches just to earn a dollar. This number is so minimal that we don’t recommend using the Word Search app alone. Perk has about 10 other apps that can all be used in conjunction with another. My favorite out of all of them is Perk TV, an app that gives you over $100 dollars a month in passive income. Another popular one is Perk Screen. Once you create one Perk account, all Perk accounts automatically all link to each other, meaning that if you earn points on one Perk app, you’re earning points for all of them. Only do it if you enjoy doing word search puzzles or have some time to kill, otherwise you could be using your time to earn money with other apps. I recommend everyone at least sign-up so you can get a free $7 dollars just for logging-in. Rewards are given out every Monday, Wednesday and Friday after redemption. One note that might be important for users is that Perk Word Search can only be logged-into via Facebook. If you’d like to link your other Perk accounts that use an email log-in, it would be best to email Perk to have them link your email with your Facebook account. The Perk Word Search app isn’t good enough to use alone, which is why we highly recommend using other apps made by Perk to maximize your earnings. In any case, sign-up so you can take advantage of their $7 sign-up bonus. If you enjoy doing word searches or playing games on your phone, this may be the right app for you. If you have any questions or comments about using Perk Word Search, please feel free to leave them in the comments below. Thanks for reading and happy frugaling!